Big, powerful snow blowers may work well for your driveway or city sidewalks, but you wouldn't think of using them on staircases or decks. For this reason, bigger is not always better. So what can you use to clear steps, decks, and porches? There are a few options that will make clearing unusual surfaces easier, so you'll never have to manually shovel snow again. 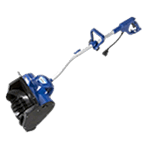 Electric snow shovels are a lightweight and effective tool for clearing steps and decks with ease. They're gasless and easy to start, so almost anyone can operate them. Electric snow shovels are as small and maneuverable as a shovel, but their electric paddles can throw snow as far as 20 feet. With an electric snow shovel, you'll never dread shoveling snow again. 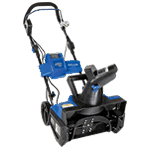 Electric snow throwers are still relatively lightweight and maneuverable for clearing porches and decks, but they provide more clearing power than an electric snow shovel. Electric snow blowers don't require any gas. You just plug them in and go. Instead of heavy metal augers, they have soft rubber or plastic paddles for more effectively clearing all the way to the decking or concrete without causing damage. Just like electric snow throwers, cordless models are lightweight and provide more clearing power than an electric shovel. However, with cordless models, you have the freedom to easily move around. 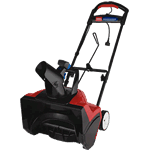 These are great for clearing your back deck, then quickly moving to the front porch and walkway. Gearing Down for Steps & Decks.. Our Power Equipment Direct how-to library can help you learn about Top-Rated & Best-Selling Three-Stage Snowblowers, Farmers Almanac Winter Weather Predictions and Proposition 65 Product Labeling.